India is a country where most of the population prefer traveling by public transport rather than their own vehicles because of its densely populated traffic. Though we have many public transport means like bus and trains, metros are considered to be the fastest and environment friendly. The first Mass Rapid Transit System (MRTS) in India was launched in Kolkata Metro which started after the inauguration by PM Indra Gandhi in 1984. 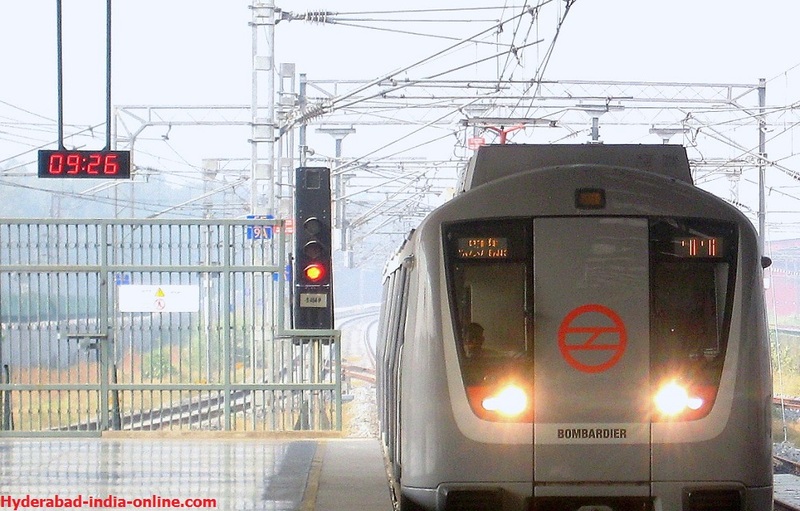 Delhi Metro was India’s first modern metro after Chennai’s which was started in 2002. Today, metros in India altogether, cater services to approximately more than three million passengers everyday. There are currently 8 operational Metro systems in India and has 324 km of operational metro lines (sept. 2016). These trains normally has 6 to 8 coaches with an average speed of 35 kmph and top speed 105 kmph depending on gauge (standard and broad gauge). The trains work on normal principle of DC shunt and asynchronous motor trains are armed with automatic train control systems, comprising automatic train operation, train protection, uses vacuum breaking mechanism and has wireless communication (intercom – Inter communication devices) between passenger and train operator. Cheap and Fastest (reduces journey time by 50%) mode of transport. Provides comfort (Centralized air conditioning). To make the passengers journey more comfortable, metro stations have additional services like ATM’s, food outlets, convenience stores etc. Kolkata (calcutta) also called cultural capital of India, has metro started on 24thoct 1984 the first mass rapid transit system in India. The metro construction started with Dumdum to Tollygunge corridor in 1972, and gradually it was extended to two other corrisdors Bidhannager to Ramrajatala and Dakshineswar to Thakurpukur. To support the increasing traffic these extensions were made later and today Kolkata metro carries approximately 5 lakh people every day. The Chennai MRTS started on 1st November 1995. MRTS elevated line of the urban mass transit system started its services in 2007 and later the design was extended to suburban areas. It was not exactly as the metro because the train works on normal EMU痴 (electric multiple units). There are overall 41 stations, with 19 stations underground and 12 elevated. There are two main corridors of connection, one from Washermanpet to Saidapet (14.3 kms) and another from Chennai Central to Anna Nagar 2nd Avenue (9.7 kms). BMRCL (Bangalore Metro Rail Corporation Limited) called as Namma metro started in 2011. It is the first metro in South India and built with WiFi facilities to travelers. The project has two corridors, one from East to West covering 18.10 km from Baiyappanahalli in the East to Mysore Road terminal in the West and the second corridor covering 24.20 Km North to South, starting at Nagasandra to Puttenahalli. Gurgaon Haryana started its services in 2013. This is the first privately financed metro and the first metro system in India to auction named rights for its stations. This network is part of Delhi Metro (yellow line) at Sikandarpur. It’s total length is 11 km with 11 stations in between, having one station per kilometer. The rapid transit in city of Jaipur (Rajasthan) started two years back in 2015. It is first metro in India to run on double storey elevated road metro track. The construction of first phase comprising of 9.36 km from Mansarovar to Chandpole Bazar started in 2010 and completed by 2014. To make it more conveneient to commuters, the HMRS is working in collaboration with other Public transport systems in Hyderabad such as MMTS (Multi-Modal Transport System) and TSRTC (Road Transport Corporation). Other cities that have metro rail system under construction are Kochi (Kerala), Lucknow (UP), Noida (UP) and Navi Mumbai (MH). This entry was posted on Jun 2017 at 12:03 PM	and is filed under About@Hyd. You can follow any responses to this entry through the RSS 2.0 feed. Your Feedback Matters!